Isn’t it surprising that we often talk about and share our experiences and tips on the best ways to take care of our health, skin, hair, and makeup but miss on one of the most important aspects of beauty and health, i.e., intimate hygiene? And yet we all agree, no amount of makeup, fashion, and skincare products can make us look and feel beautiful unless we don’t feel clean and hygienic in our private moments. Because intimate hygiene is crucial to your overall health, personality and well-being, it is important that you select hygiene and grooming products that harmonize with your body’s exact needs. 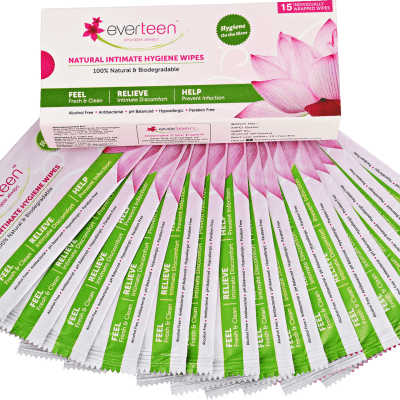 So R2B has collaborated with one of the top intimate hygiene & grooming brands – Everteen & Barever to celebrate your femininity and provide you all with an exciting opportunity to try India’s best intimate hygiene & grooming products for free!! Yes girls you now stand a chance to win three wonderful products online at R2b by participating in this giveaway. 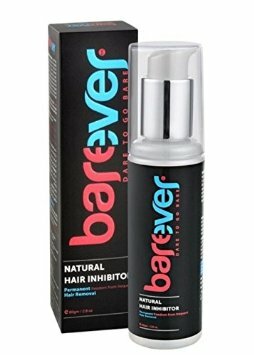 1st Prize – Barever Natural Hair Growth Inhibitor 2nd Prize – Everteen natural intimate wash 105m 3rd Prize – Everteen Intimate Wipes Entry is easy. All you need to do is answer one simple question in the comments section and follow the below mentioned rules / guidelines. Make sure you follow all the rules and read all the terms and conditions mentioned below before entering. Like R2B and Everteen Facebook fan page. And tag 5 friends. Follow R2B and Everteen on Twitter. And tweet 3 friends. There will be only 3 WINNERS. The winners will be chosen on the basis of their answers given to the above question and active participation on all social media links. R2B’s decision on selecting the winners will be final and cannot be challenged under any circumstances. For any doubt or query you can write to us at anshulikachawlablog@gmail.com. First ten entries shall be given special preference. “After many requests for an extension, we have pushed the deadline to participate in this Intimate hygiene contest for another week. The contest started on 28/9/2015 and will now end on 25/10/2015 at 12 am instead of 18/10/2015. All the luck winners shall be announced on 26/10/2015. All the best till then and happy participation! I never use hygiene products down there except good old soap and water. But I’ve always been intrigued by the idea of a feminine douche. You must give them a try Yasmin. For sure they work really well. That’s a very nice giveaway! I like hygienic products very much, I think that if we have products specifically produced for other parts, why not for the one that is really connected to health! Thanks Denise. Yes Hygiene & grooming products are more than important in every one beauty regime. Good luck to those who want these products! Have a great day! Hi Manisha. Thanks for participation. Stay tuned for results. Always preferred to use wax strips. Hi Ziesha. Thanks for participation. All the best for results. Hi lavanya thanks a lot for your feedback. Keep sharing like this useful things R2b . I always preferred to use Veet for bikini hair removal. Shared & keeping fingers crossed to Win! Hi Mitu. Thanks for participation. All the best for results. I have always preferred Veet for bikini hair removal because I find it the easiest and most convenient. Hello Apurva. Thanks for participating Stay tuned for results. Brazilian wax at a hygienic professional salon is great and long term solution..in emergency shaving is also useful.. Thanks for your feedback Anubhuti! Yes Vishakha. The range is interesting from Everteen. I love the products too. very important question to be asked by you dear.There are so many ways like shaving ,waxing,but they are painful.thats why I prefer hair removing cream.Hair removal cream is a popular DIY method to get rid of unwanted hair.painless and convinient. It is quick and easy. It is a hassle-free, painless procedure. Thanks for participating. SO as to have best chances to win; Share and Tag your friends on all your social networks. And stay tuned for results. I use a home hair removal but I’m thinking getting a professional wax would work much better. Hi Anna; thanks for sharing your idea. All the best! Very nice giveaway unique of this kind n like to spread the awareness about this. I liked this giveaway. I used Anne French for bikini hair removal since my school days My mom given n told the importance of Hygiene & removal of hair of this important part of our body which is very essential N eager to use the products mentioned in this giveaway. Hi Sujata. So nice to see your honest opinion. All the best and stay connected for results. Spread the word as much as you can on your social media. Thanks susan for your opinion. Using Anne French Tender Care Convenience Hair Remover Kit would be the best method for bikini hair removal. It gives you the goodness of green tea and shea butter. I prefer to remove the hair in my bikini area using Anne french because it is a non messy and pain-free hair removal technique. Hello Divya, thanks for participating. Stay tuned for results.